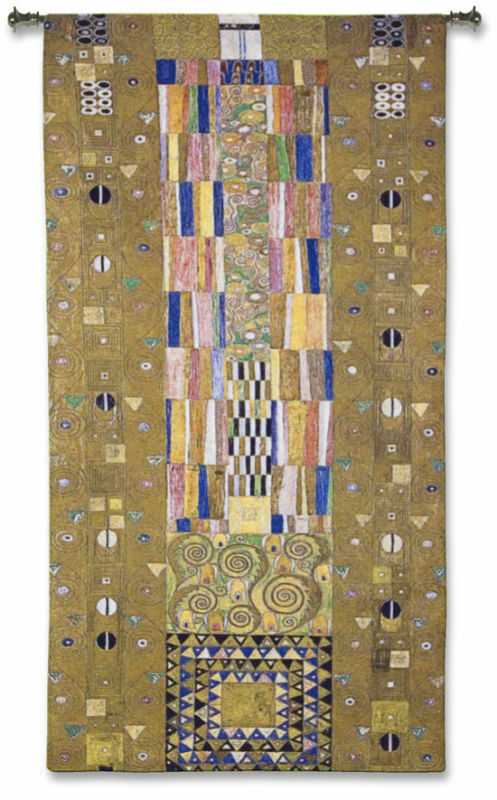 "Klimt FREGIO STOCKLET Tapestry Wall Hanging" From a painting/artwork of Klimt. The high quality tapestry is woven on Jacquard looms. Backed with lining and tunnel for easy hanging. Cotton 100%. Spot clean only. Woven in North America. Measures 98" long x 53" wide. **Size 52"x28" also available** Note: Rod not included with this item. May be purchased separately in my store. Request adjusted invoice for combined shipping when ordering a rod or tassels with this item. PLEASE NOTE: Shipping ONLY within the continental U.S. Hawaii, Alaska, and Puerto Rico residents please contact seller for shipping quote before ordering.